Long time no see! Since our house purchase in July, it seems my whole life has revolved around painting and decorating. 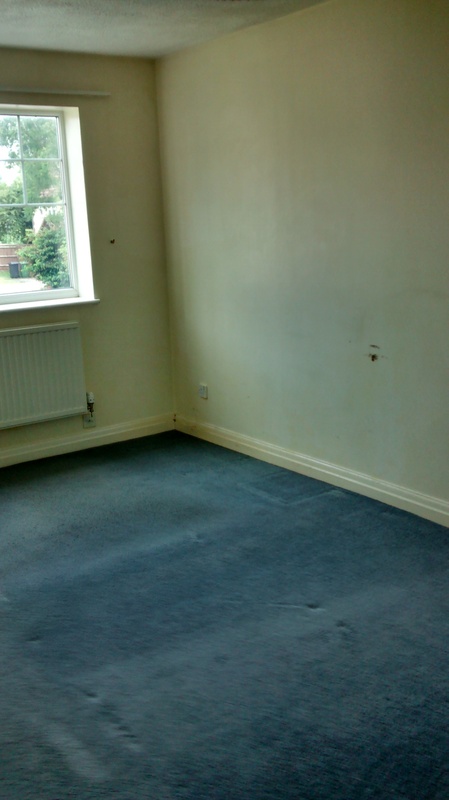 When we bought the house I assumed that decorating would be a fairly swift process, say, two weeks….in the end it was two months before we even moved in! The house was previously owned by an elderly couple and it was in serious need of cosmetic TLC. 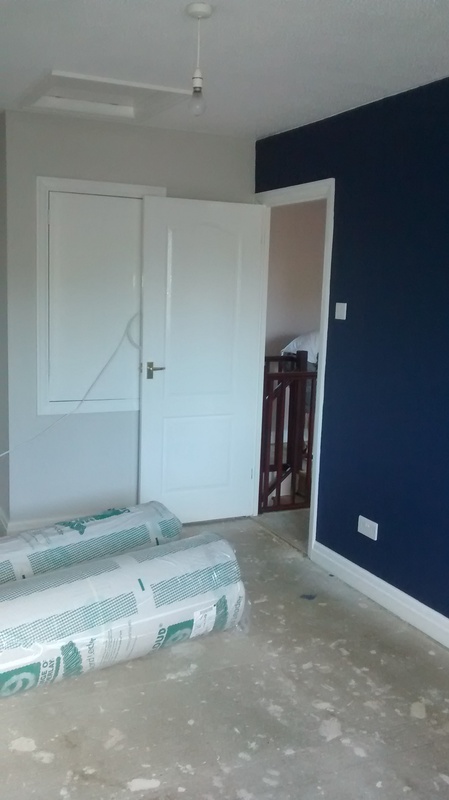 We jumped right in at the deep end – painting every room from top to bottom (days and DAYS spent sanding and glossing) and several new carpets. I’m very happy to start sharing some of what we’ve achieved so far! For a master bedroom this is surprisingly long and narrow, and therefore quite dark. 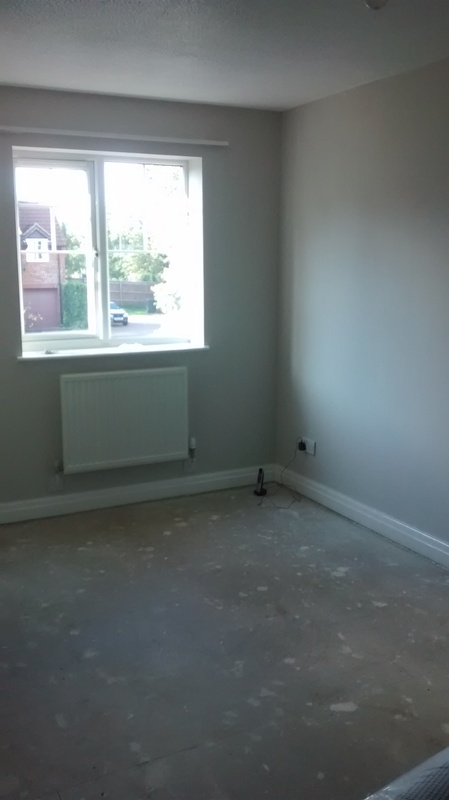 I chose a pale, warm grey as the main wall colour (Polished Pebble by Dulux). 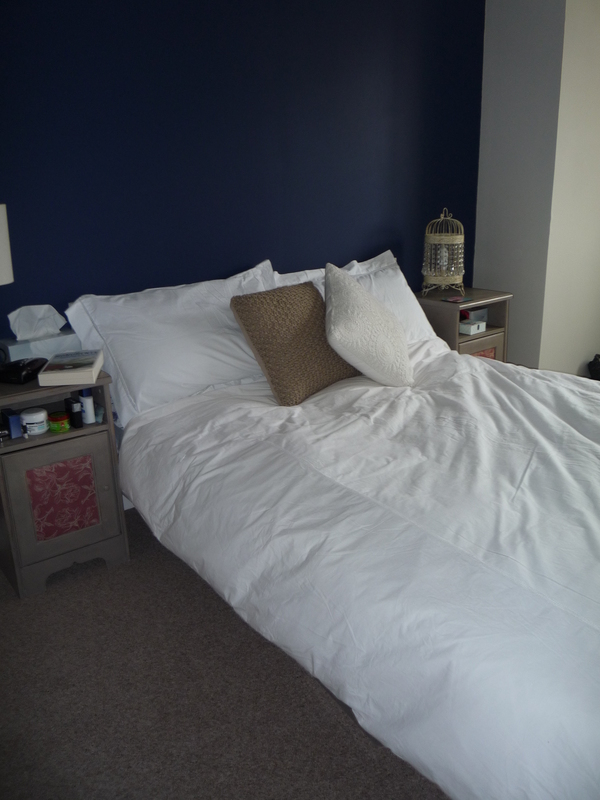 I love feature walls and strong colours and fell in love with this dark blue (Sapphire Salute, Dulux). Friends and family were concerned that using such a dark colour was a risk in a room like this, but I knew that it would make a nice contrast with the white bedroom furniture we already had. This is my favourite room in the house so far – the colours are calm and serene. I’ve kept a few pops of pink in there to brighten things up. I’ve kept furniture to a minimum to keep it feeling spacious. 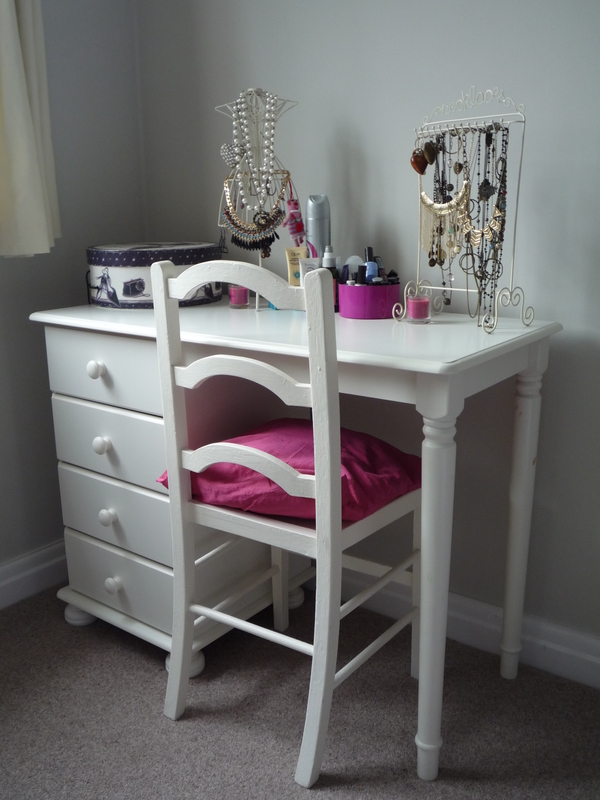 It still needs a few finishing touches – I’m on the hunt for some white curtains, a free standing mirror and most importantly, some pictures for the walls! What a great transformation, job well done!